Tanner Basque is only 15 years old. 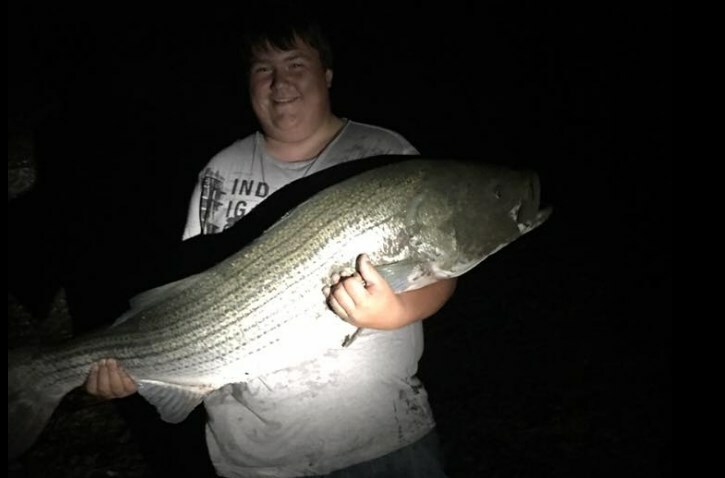 However, this week the teen landed a striped bass that had members of the Cape Breton Fishing Fanatics Facebook group sending him congrats on his great catch - and also hoping that he'd reveal where it was landed. The striper took the bait, but Tanner sure didn't. His secret is staying with him. Tanner says it took him about 5 minutes to land. It weighed in at 49 lbs, was 50 inches in length, and was 28 3/4 inches in girth. To see more pictures, visit the post at the Cape Breton Fishing Fanatics group.